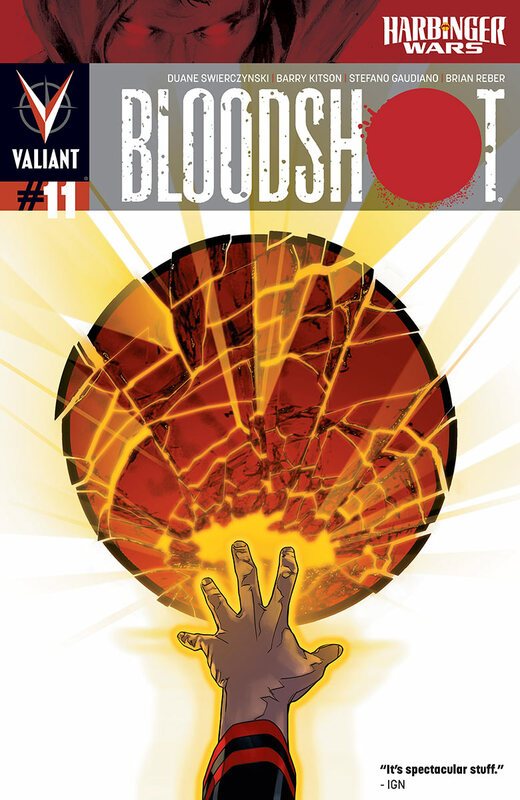 Valiant is proud to present an advance preview of Bloodshot #11 from the all-star creative team of writer Duane Swierczynski and artist Barry Kitson! 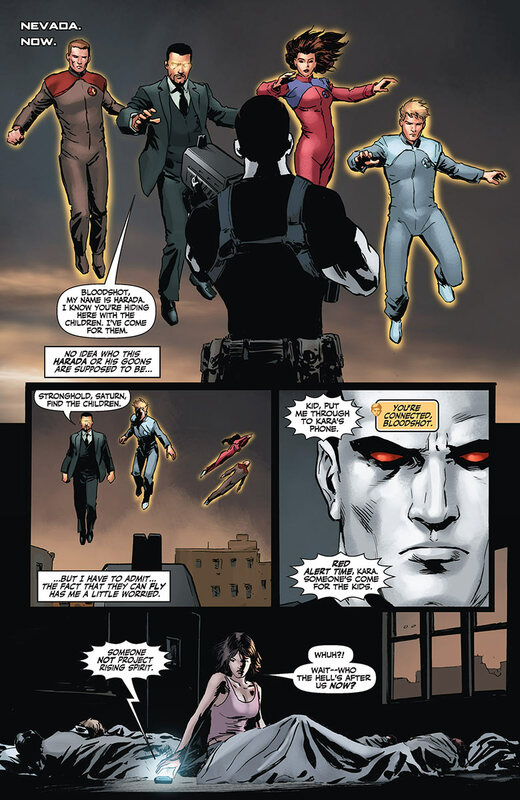 Bloodshot continues his one-man incursion behind the enemy lines of the Harbinger Wars right here on May 15th with the next chapter of an all-new, self-contained story arc for the most brutal book on the stands! 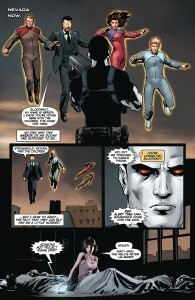 Everyone says they want what’s best for the children…but Bloodshot’s the only one who’s willing to fight for it. 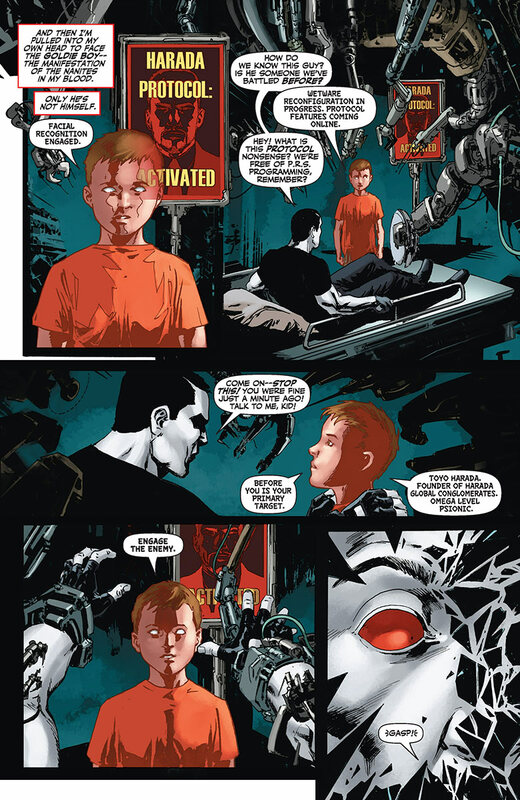 After a lifetime of lies, destruction and pain, he’s vowed to use his extraordinary abilities to do one simple thing: keep these kids alive, even if they’re terrified of him. The war for the escaped children of Project Rising Spirit, however, has been waging longer than Bloodshot realizes. And what can one soldier do when he’s up against two powerful, secret armies? Before H.A.R.D. 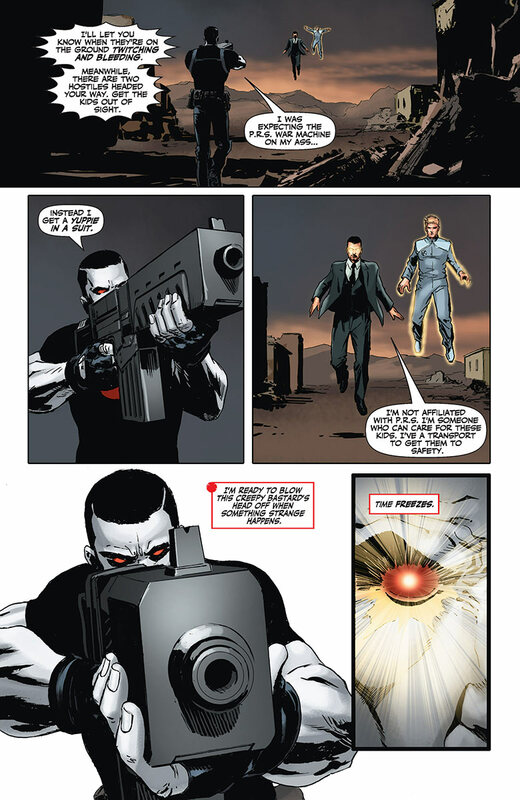 Corps hits the scene in Harbinger Wars #3 (of 4), find out everything you need to know about the nonstop action event of the summer right here on May 15th, only in Bloodshot #11! For more information on Bloodshot, Harbinger Wars and the rest of the Valiant Universe, visit Valiant on Facebook, on Twitter, and at ValiantUniverse.com. This entry was posted in Columns and tagged Barry Kitson, bloodshot, duane swiercznski, h.a.r.d. corps, harbinger wars, kalman andrasofszky, matthew clark, VALIANT COMICS. Bookmark the permalink. Follow any comments here with the RSS feed for this post. Post a comment or leave a trackback: Trackback URL.